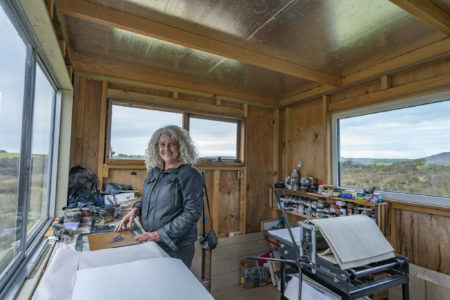 Our small, self-reliant and vibrant community draws creatives from near and far and has an active core of artists and craft practitioners whose work strongly reflects the Island’s culture and landscape. You’re guaranteed a warm welcome at this thriving Arts and Cultural Centre, which is located in the picturesque Currie Wharf precinct. With artists often at work and both large and small pieces for sale, it offers a glimpse into our incredibly creative community. 1.00 pm to 4.00 pm, Daily (closed on Tuesday). Winter hours may vary, please contact the Cultural Centre for further information or visit the Cultural Centre Facebook page. 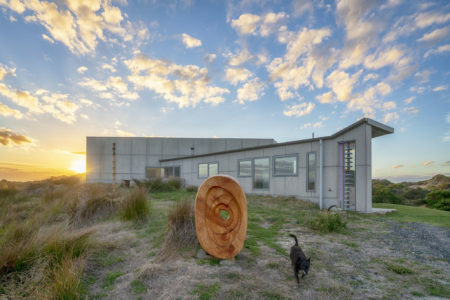 Since moving to King Island in 2011 to build their home (filmed by Grand Designs Australia), Dianne and Andrew have been actively involved in the community arts and cultural scene. 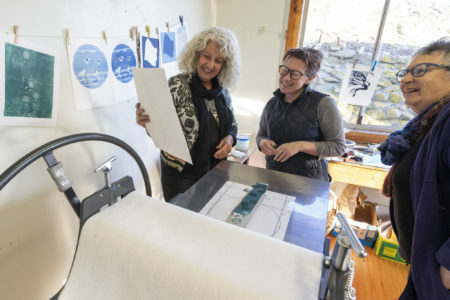 Working with master printmakers, community artists and Tasmanian First Nation people (through Arts Tasmania), to run printing workshops at the King Island Cultural Centre. Outcomes from which have delivered multilayered benefit to participants and the community. 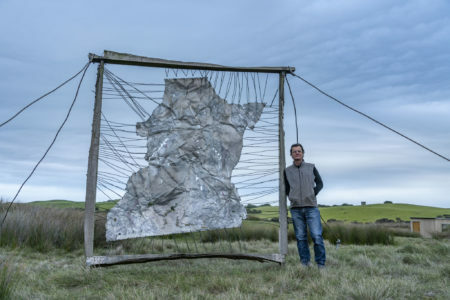 Both practicing artists, Andrew and Dianne are currently working with the King Island Council and the community to promote art and cultural practice and engagement. 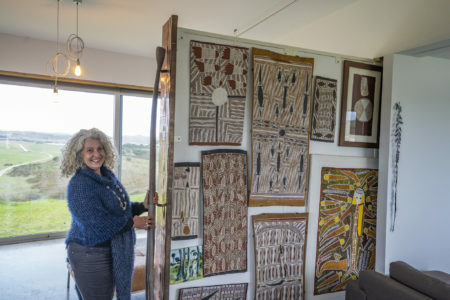 Dianne Blake has been involved with community arts for 30 years, working within the team at Buku Larrnggay Mulka Arts Centre in NE Arnhem Land in the Northern Territory. Utilising the large print space, limited edition prints using all techniques were made with community artists, with works exhibited annually. Here, training and mentorship, particularly for the youth was her primary focus. Dianne also worked in Kakadu National Park, NT with the First Nation artists and youth facilitating many workshops in printmaking. Dianne also practices her own art in the form of painting, printmaking and sculpture and exhibits regularly. Andrew Blake has been professionally involved in the arts sector for 30 years as a Manager, Curator, Trainer, Consultant and Artist. Most of these years have been spent in Arnhem Land successfully running Indigenous Community Art Centres. This work, on a community level, not only dealt with the artists and local stakeholders but with industry on the other side – national institutions, government departments, philanthropy and the private sector – particularly contemporary commercial galleries. Andrew is of the firm belief that the benefits of art involvement and participation have a very real influence on the health and wellbeing of any community. 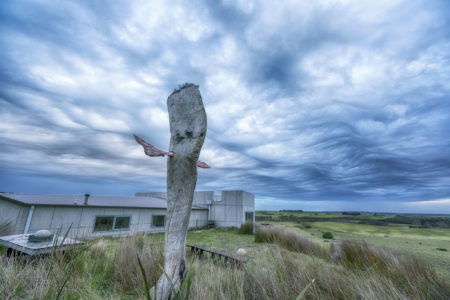 The natural beauty, relaxed lifestyle and relative isolation of King Island appeals to artists seeking an idyllic, inspirational environment in which to work and has inspired those with a wide range of professional arts practices. Offering Australian and International artists the opportunity to immerse themselves in our small, vibrant and welcoming arts community, our residency program is available by submission. King Island is beautiful and unique. Much of its wildlife – plants and animals live nowhere else in the world. To keep it this way we must love, nurture and care for it. Encourage us all to ‘look, see and feel’ King Island in all its natural beauty including its wildlife. Raise funds to help with its ongoing conservation and protection. Stimulate others to visit King Island and give us a hand.